Page F30: Is Macedonian a language or a Bulgarian dialect? Is Macedonian a language or a Bulgarian dialect? A title like that seems just made for controversy. I do have a reason for wading into the fray though. First of all an example of the fray: the comments below this video recorded by my favourite polyglot. Even though the video is just a video in Macedonian about learning languages, the comments below are a complete firestorm. BLARGH YOU'RE JUST SPEAKING BULGARIAN ANYWAY WHATEVER and DON'T LISTEN TO TOHSE GREASY BULGARIANS TRY TO SAY MACEDONIAN ISNT A LANGUAGE is a good summary of how the debate goes. Read them if you dare. I would like to add a third perspective to the debate, however. One perspective is academic and linguistic, which naturally concludes that Macedonian is a standardized form of a dialect continuum that goes from Bulgaria and into Macedonia and Greece and Albania, and is strongly related but somewhat less so to Serbo-Croatian and up into Slovenian, which has some faint but interesting ties to Slovakian and so on. Macedonian happens to be a standardized form based in the centre to the west of FYROM Macedonia, and Bulgarian is a standardized form of the dialect continuum from the east of the country. The political perspective is where all the arguments take place, and has to do with whether Macedonians avoid Bulgarisms and prefer Serbian whenever possible, whether Skopje was chosen as the capital on purpose, etc. etc. I won't get into that. The third and most ignored perspective, however, is that of the student. The language student simply wants to know two things: can the standardized version of a language be learned and properly used on the street, and how hard is it to learn? According to the video it seems that Macedonian is used mostly like the version one reads but with a lot of Turkish slang. What about the second point? 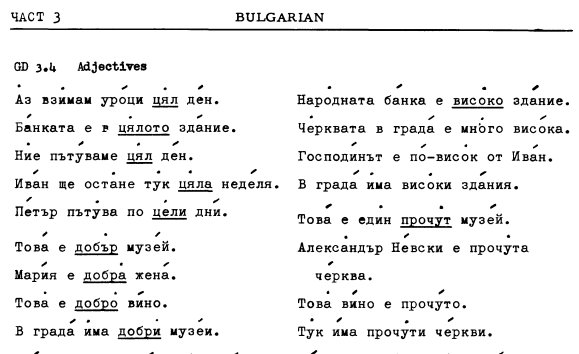 Is there anything about Macedonian that makes learning it a different experience than learning Bulgarian? There is, and the main difference to a student is this: wonderful, blessed, regular stress. Bulgarian is thought by many to be the easiest Slavic language for an English speaker to learn given the lack of cases in regular nouns. Word order is quite straightforward (lack of cases helps out here), and the two difficulties regularly cited are: verbs and variable stress. Verbs because Bulgarian has more aspects and tenses than other Slavic languages. Macedonian has this too. Bulgarian planiná (mountain) is plánina. Macedonian is also somewhat easier to pronounce with slightly fewer vowels. I also love things like во (in) instead of в and со instead of с for with, but maybe that's just me. - if the two were a single country they would be regarded as dialects of each other and not languages. So the answer is yes, they are distinct languages, and no, they are not. Different languages because they choose to be, but not inherently different enough that they couldn't pretend to be one language if they wanted to. After all, if China can pretend that Cantonese is a dialect and regional varieties of Arabic can pretend to be one language, then so could a lot of other Slavic languages. Romance languages too, for that matter. So where is a good place to hear Macedonian with matching text? 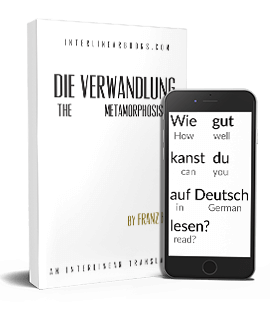 Besides Deutsche Welle's crappy yet great (crappy for learning German, great for hearing other languages) course Radio D (to see and here one example click here for the pdf and here for audio), beats me. I'd love to hear if anyone knows of a source. My biggest beef with Macedonian? The keyboard. But then again nothing really compares to the Bulgarian keyboard, the equivalent of Dvorak except that everybody uses it instead of a tiny fraction of the population.